“Since we started Mars One in March 2011, we received support from scientists, engineers, businessmen and –women and aerospace companies from all over the world. The announcement of our plan in May 2012 resulted in the engagement of the general public, and the support from sponsors and investors. To see our mission evolve this way feels like my dream is becoming a reality." Mars One’s mission is to establish a human settlement on Mars. Crews will depart for their one-way journey to Mars starting in 2026; subsequent crews will depart every 26 months thereafter. 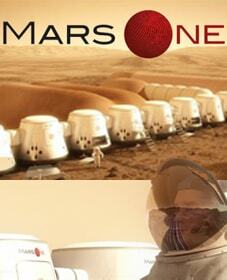 Mars One is a global initiative aiming to make this everyone’s mission to Mars, including yours! Bas is a born entrepreneur- he sees potential and opportunity where others shy away. Gifted with an articulate vision and genuine enthusiasm. Great for leadership, entrepreneur, innovation programs. Mars One is a not-for-profit foundation that will establish a permanent human settlement on Mars. Instead of trying to bring crews back, Mars One plans to send more crews every year. The cost of the mission – $6 billion USD – will be financed through investments, and the return on investment comes from media rights, intellectual property rights and related business cases. With over 200,000 applications to go, support from NASA’s former Chief Technologist, a Nobel Prize laureate, and with contracts with companies like Lockheed Martin, Mars One is already underway. More Information! Click to Schedule!